The DGA ProLine Hurricane is an overstable maximum distance driver and great for players of all skill levels. 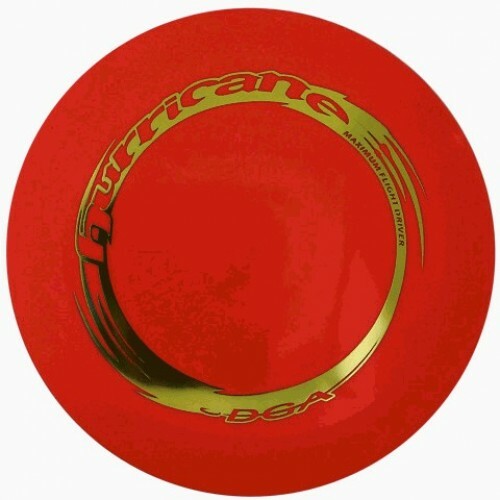 The Hurricane was designed for players looking to add more distance to their driving game. It is the furthest flying and fastest high speed disc in the DGA line up. It offers amazing glide that helps beginners and those with slower arm speeds get some of their longest drives ever! You’ll find this wide rim disc golf driver effortless to control compared to other wider rim discs. It feels great as you release. The Hurricane in the ProLine plastic offers superior grip and tack right out of the box. It is great for all weather conditions and is designed to take a beating over time.